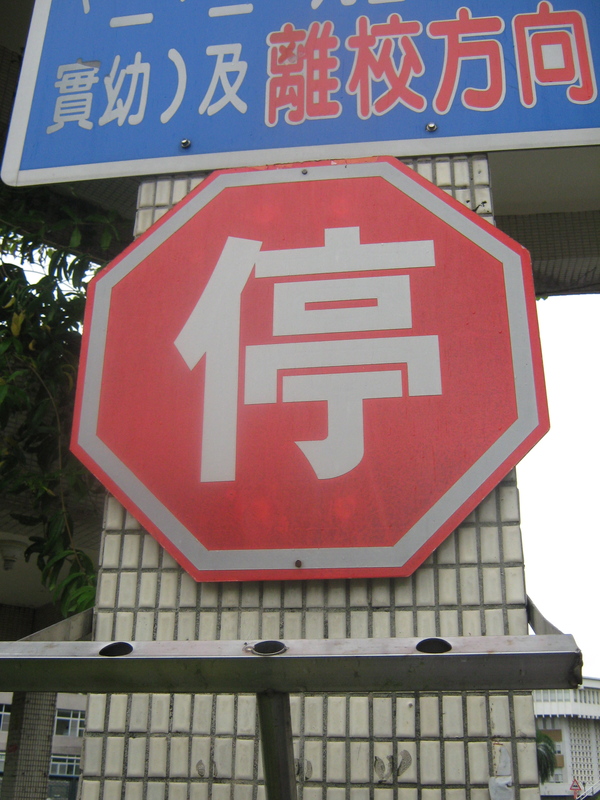 So here’s a little week in review in some favorite photos not yet posted: Top Five Things that Have Made Life in Taipei Easier and Fun. 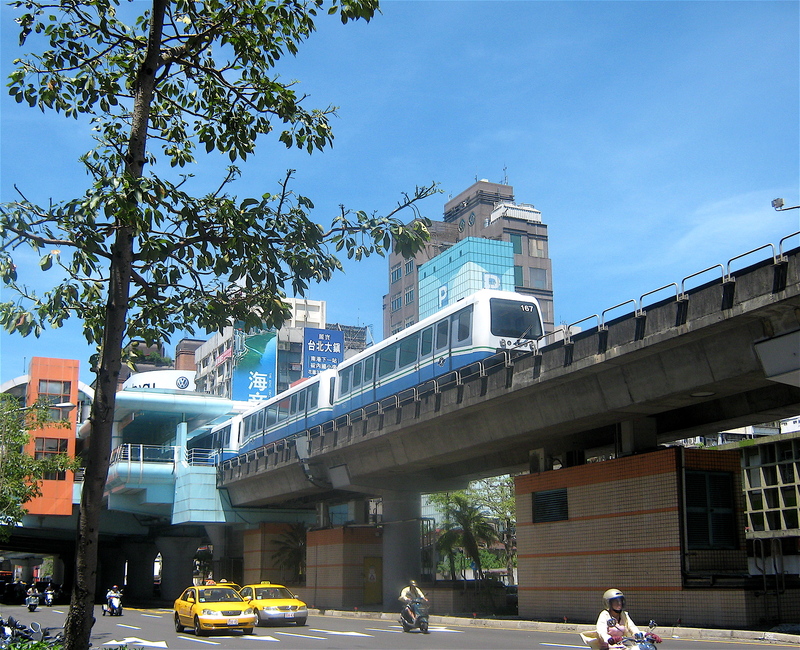 Most MRT lines run underground, at least in the city center. 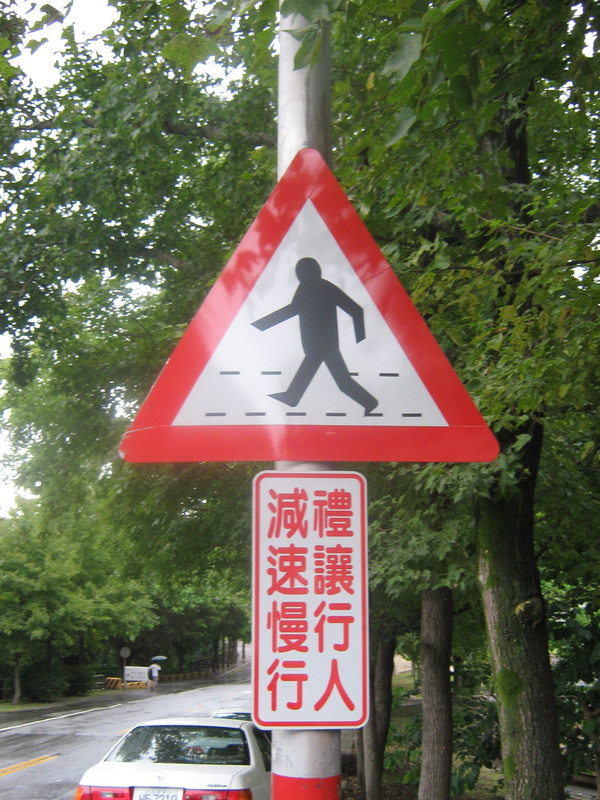 The brown line (Muzha line) is the only one that runs above ground the whole way. Unlike the Boston T Green Line, it doesn't have to stop at red lights! 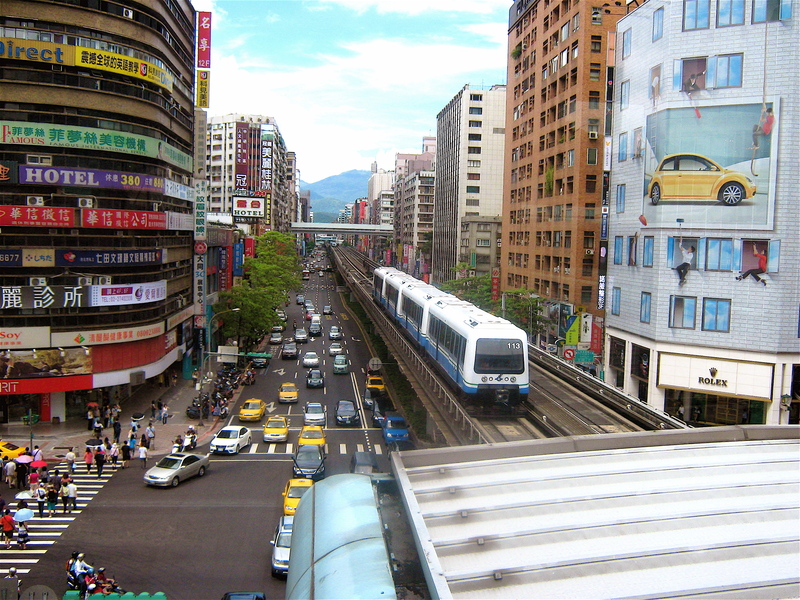 The view from the Zhongxiao fuxing station (忠孝復興站), at which point the blue and brown lines intersect at a Taipei hybrid of Madison Avenue and Times Square. It's a bustling shopping and commercial area. 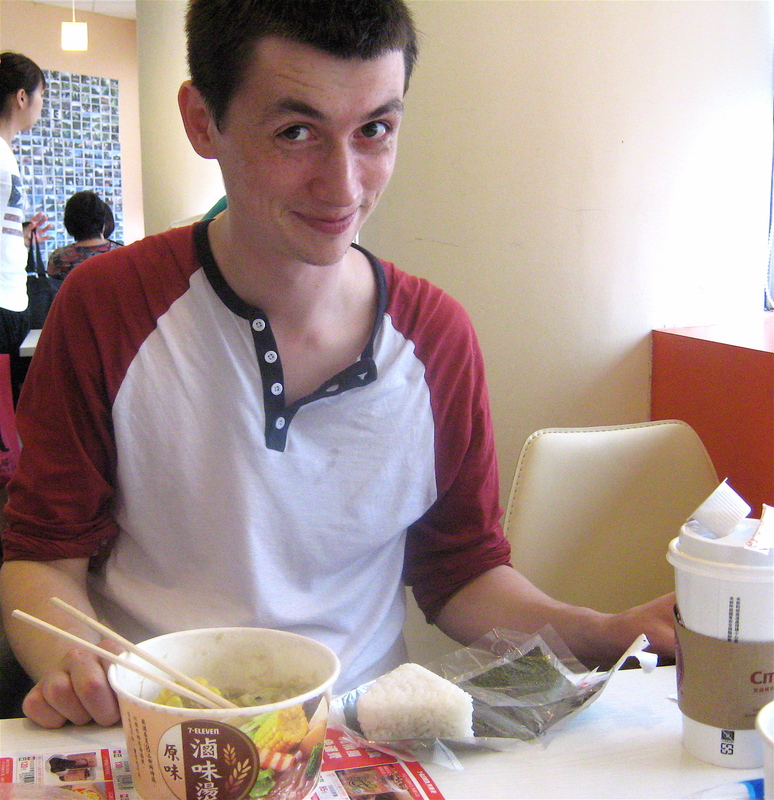 Quick Disclaimer to Americans: 7-11's in Taiwan are very different from their North American counterparts. 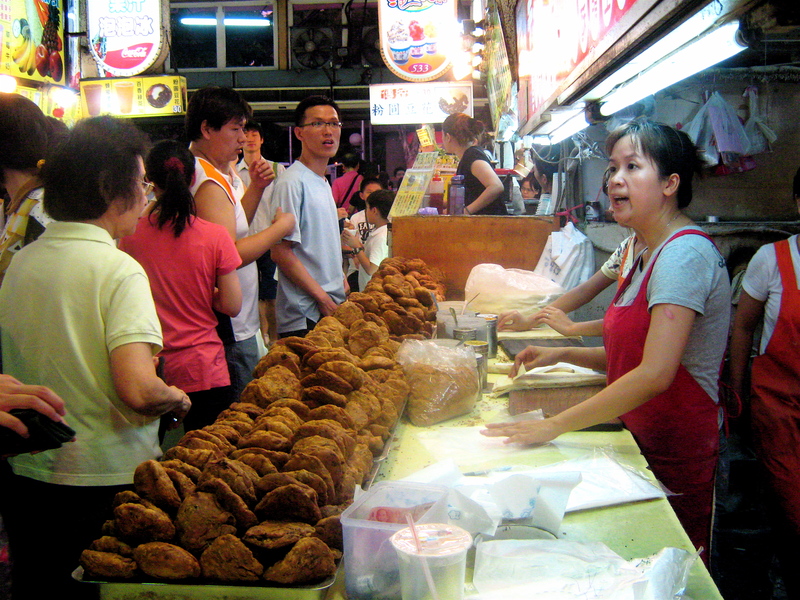 Prepared food is often tasty and fresh, drinks are inexpensive, snacks are interesting. 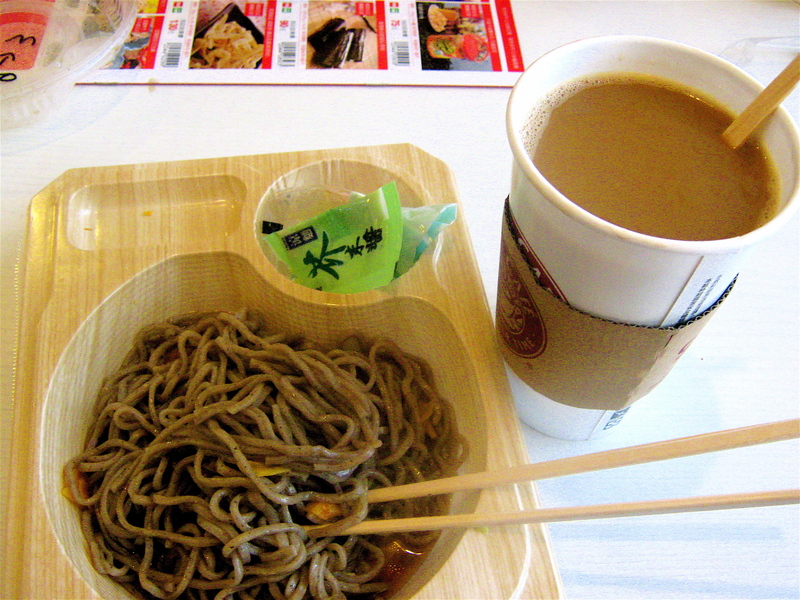 Cold noodles with sauce and cheap but still decent coffee are my two new 7-11 mainstays. 7-11 food can be easy, fascinating, and fun, as shown by Do It Yourself Japanese sushi triangles. 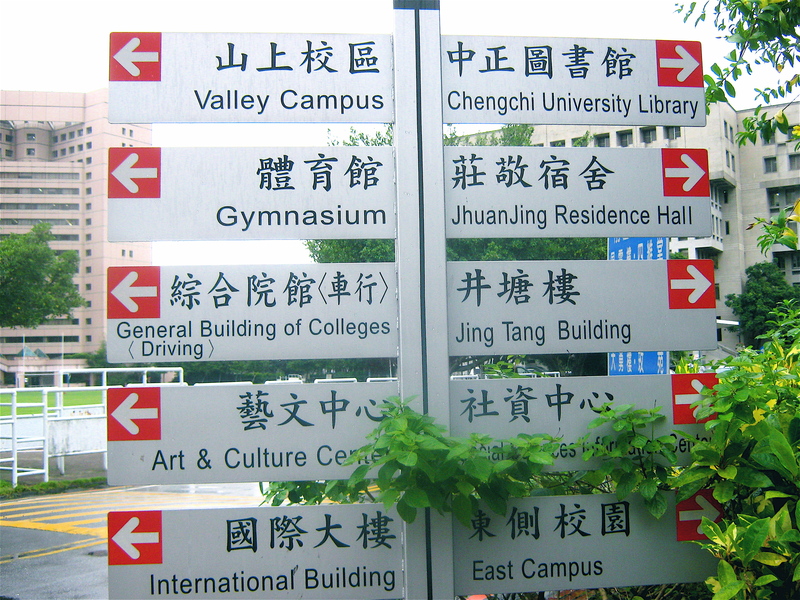 Signs on NCCU's campus are particularly helpful, since they have many useful academic and cultural words. And many arrows! 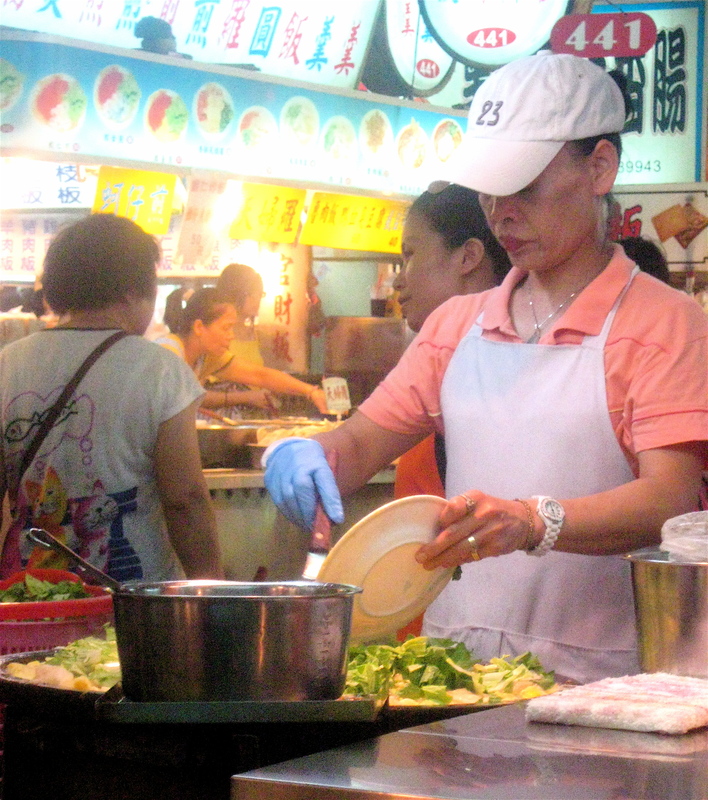 Yesterday, I went with some friends to Shilin Night Market and walked through the crowded throngs of shops, restaurants, and food and drink stands. We went early in the evening to head back to the Museum of Contemporary Art for the Taipei Fire Festival, but even as early as 6pm, the Night Market was in full swing! We dined on oyster omelets (雞蛋蚵仔煎), assorted tea drinks and passion fruit smoothies, fruit, bao, and other treats! Here, a woman makes a whole griddle full of omelets with oysters and greens. Anyone know what the fried "hockey pucks" on the left are called? My friend and I decided to split a red bean one, but little did we know that they would crush up the fried stuffed dough and wrap it up in a burrito-like pancake. My friend and I both agreed it was a peculiar mixture of textures, to say the least. 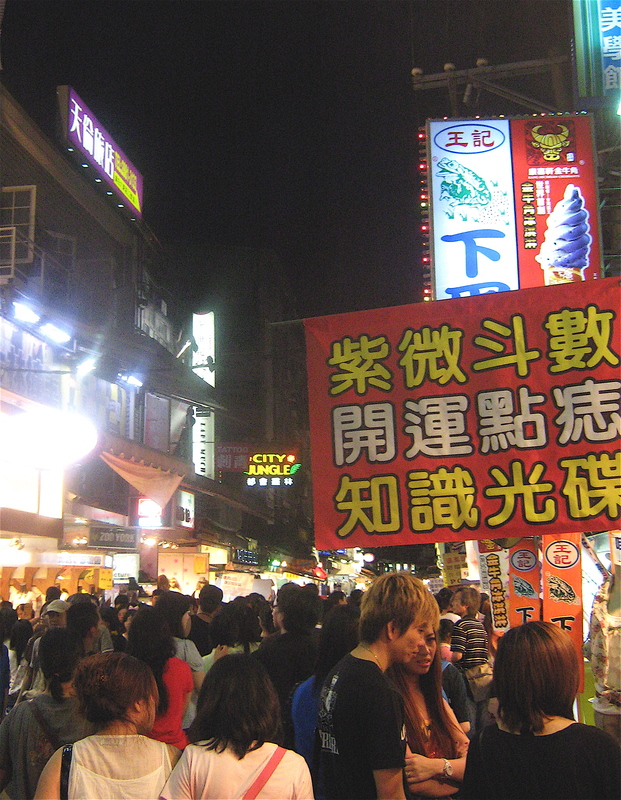 Finally, I would be remiss if I didn't speak about the trendy stylings of young Taiwanese people! 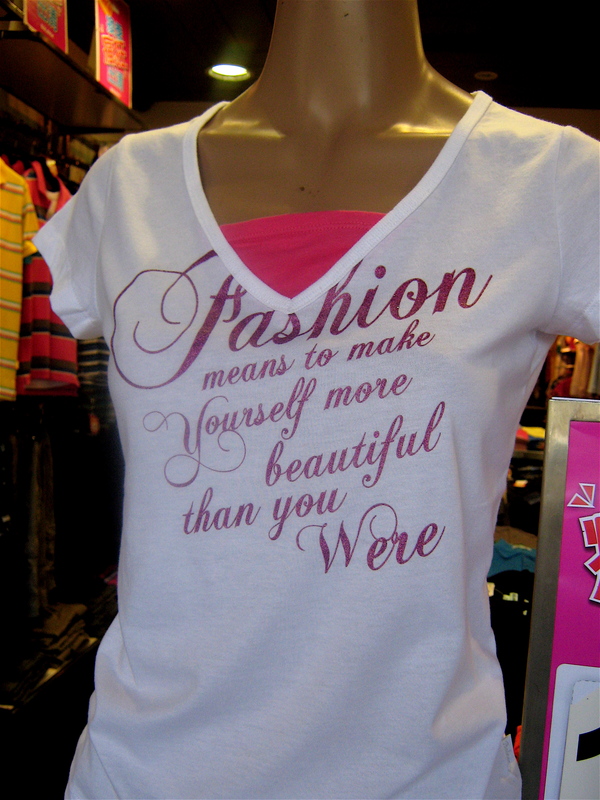 In particular, I cannot stop seeing t-shirts with every manner of English writing on them-- as decoration, as attitude about media, pop culture, or philosophy (be happy! take action! etc). But these two t-shirts were my favorites from the week: proof that every culture's version of "cool" is obvious to some and mystifying to others. I will, t-shirt, don't worry. 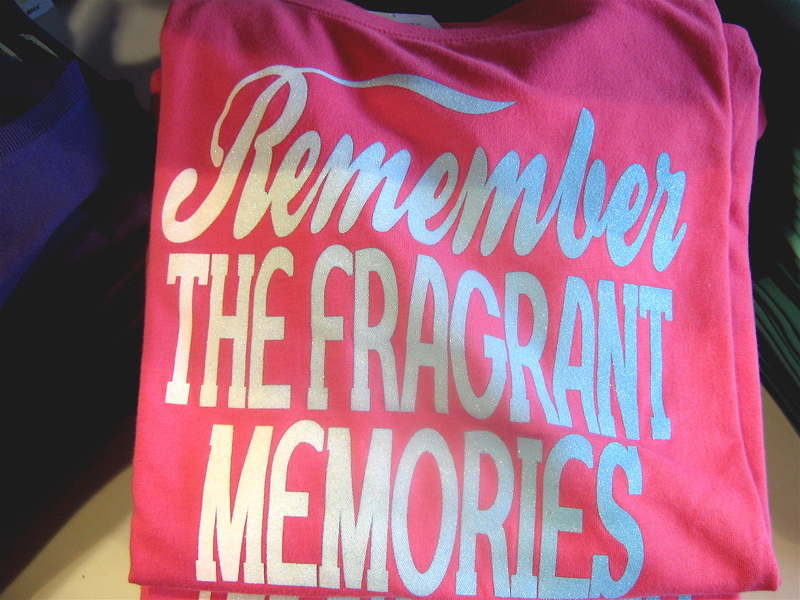 The fragrant memories are here to stay. I plan to do this as a regular feature, so do stay tuned for future weekend photo spreads, and for posts next week on travel fashion, expat literature, and the responses of Taiwanese folks when I tell them I’m researching their nation’s history. In the meantime, have a great weekend! I kind of want both of those t-shirts! Also, good to see that you’re settling in. I definitely concur Taiwanese 7-11’s are *way* more awesome than American 7-11’s! Thanks for the photos (not to mention the fragrant memories)! I also want that fashion t-shirt. So true. 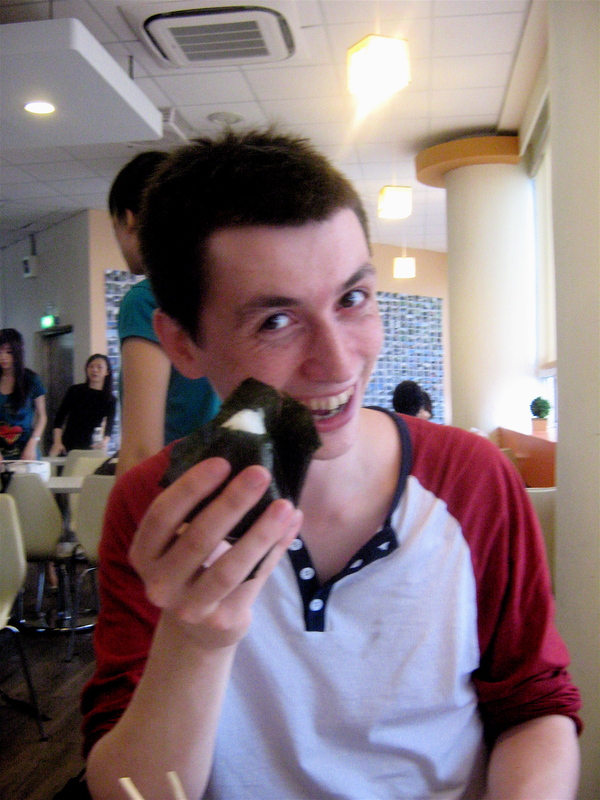 Alice: You could be my other Taipei translator! If you are ever in town, let’s hang out, definitely. Also, yeah, the inside of MoCA was interesting– it was a Sci Fi/Fantasy Themed Art Exhibit, tying into video games, animated movies, and comic books, etc. Cool but odd. Jill and Bridget: Now I know what to bring you back someday, and I’ll see if I can top these. Your mission: send me pictures of Chinese characters on t-shirts and I’ll find out what ridiculous things westerners are saying to each other unknowingly!